We are a licensed, bonded, and insured roofing contractor for Purdy, Wa. With nearly three decades of industry experience you can put your trust in the experienced hands of Deere Hawk Roofing and Construction, LLC with confidence. We offer a variety of different services from metal to shingle roofing, we are experts who can advice you on what is the best choice for your home. Experienced technicians plus the highest quality products in the industry equals a reputation for our company as one of the most trusted roofing contractors in the Tacoma area and beyond. We are a family owned and operated roofing contractor. Our founders have been in the roofing industry for over 30 years and have installed 100's of roofs. 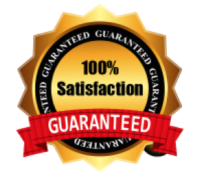 We focus on installing quality roofing systems one customer at a time.